Japanese whisky is still booming. With Japanese regulations full of holes it does not come as a surprise that some people take advantage. Matsui Shozo promotes their Kurayoshi as Japanese whisky, but it is nothing of the sort. The spirit/whisky is purchased in Scotland and then matured for a couple of months/years in a Japanese warehouse and – abracadabra – it is Japanese whisky. Well, Togouchi is similar, but at least they communicate transparently about the fact that their whisky is a blend of Scottish malt and Canadian grain. 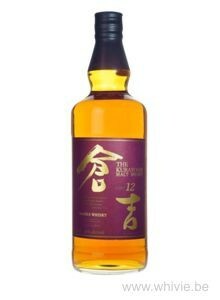 Anyway, let’s move on to the Kurayoshi 12 Year Old Pure Malt. The nose is pleasant enough. Lots of sweetness in the guise of caramel, baked apples, stewed pears and some honey, joined by grasses and upholstered by a lovely mineral note. Some sweet beer note. If I may be so bold, this smells like the better Glenfiddich. The arrival is fine with a sweetness that is a nice continuation of the nose, but with a powerful spiciness. Slowly but surely evolves towards all kinds of citrus fruit and – drumroll – lots of woodsmoke! Might that even be some peat? Did not see that one coming. The finish is surprisingly long, warm, spicy and soothing. By far the best non-Japanese Japanese whisky from the Kurayoshi series. But more than 100 EUR for a bottle? No, thank you.